Check out the coverage for Grape Camp in the exclusive, affluent Luxury Magazine (Circ: 50,000). 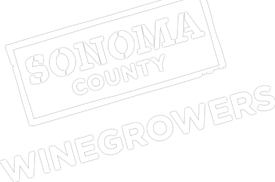 The Sonoma County Winegrowers assisted the story which appears in the back of the book in the “What’s What” section. Luxury Magazine, The Ultimate Luxury Guide, is a quarterly publication exclusively for holders of the Luxury Card, formally known as the Black Card. Their team of editors, designers, and writers deliver informed content tailored to their affluent audience.